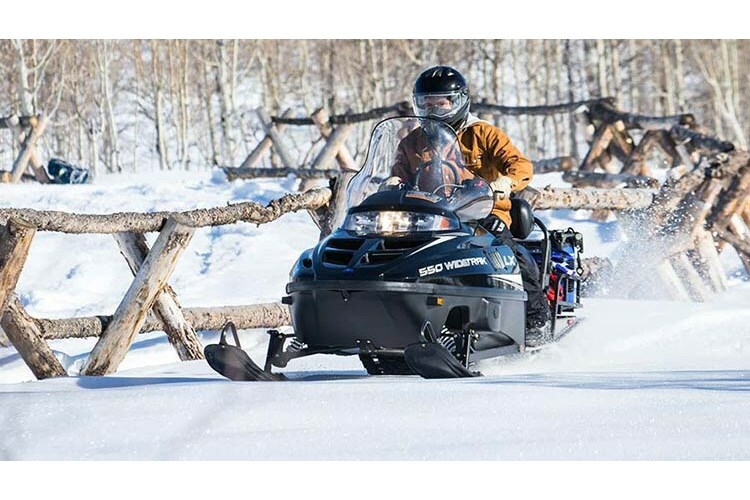 550 Fan Engine Proven, dependable two-stroke engine with NiCaSil-lined cylinders provides trail cruising power in a lightweight package. 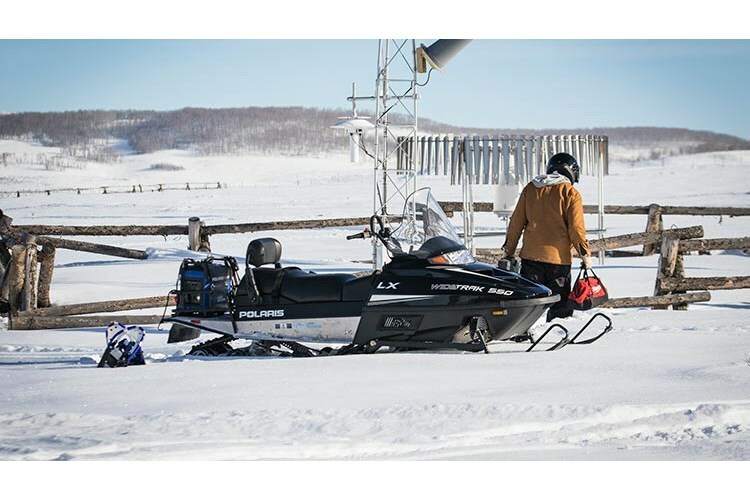 Electric Start Start your sled with the turn of the key. Nothing beats the ease and convenience of electric start. PRO-Float Skis The strong, lightweight PRO-Float Skis provide outstanding off-trail flotation and unmatched on- and off-trail steering and control. PRO-Float skis are 9.5" wide and offer a combined surface area of 410 sq. 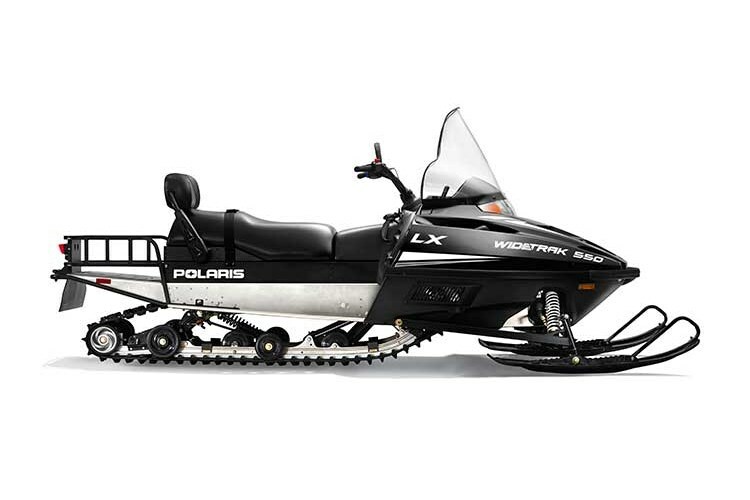 in., more than 45% greater than Polaris PRO-STEER skis. 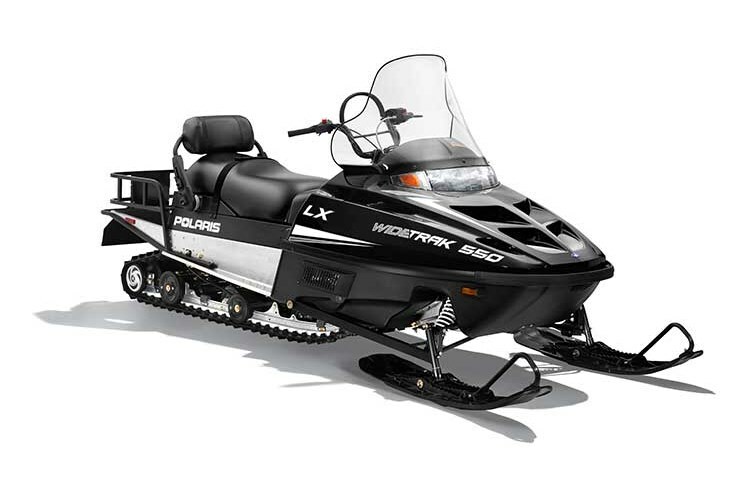 These skis feature a unique dual, stepped keel design that provides more responsive deep snow handling as well as outstanding handling on the trails. 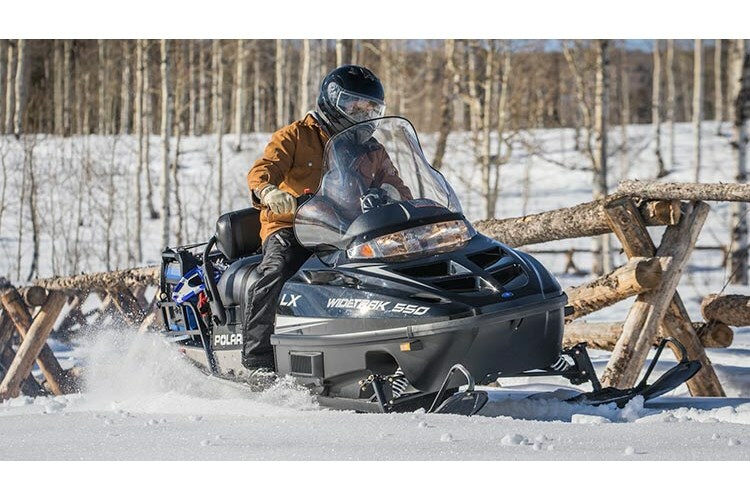 The upturned rear edge accommodates backing up over obstacles, and the serrated top of the ski provides traction for a rider’s boot. 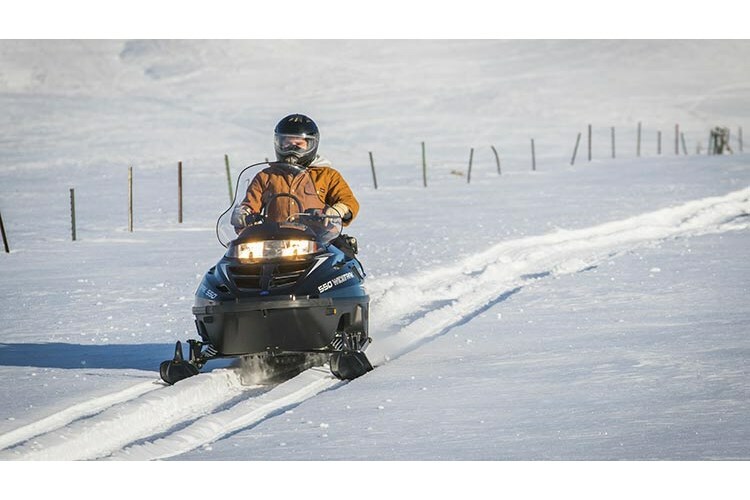 Articulated Rail with 1.56 x 1.00 Shockwave Track Articulated rail coupled with the 1.56 x 1.00" Shockwave track for the best off-trail snowmobility and to prevent trenching when backing up. The rail tips up at the rear so the track can ride over obstacles and is easier to back up. 2 Passenger Seat with Adjustable Backrest Quick, tool-less adjustment and increased stability can be converted for solo riding into a comfortable solo seat with a more comfortable backrest and covered storage compartment. Standard Underseat Storage Enough room to keep, gloves, tools, rope, goggles, jackets, beef jerky — you name it. Underseat storage has 2250 sq. in. of storage capacity. Rear Cargo Rack and Hinged Style Tow Hitch Durable rear cargo rack offers 3000 sq. in. and 75 lbs of cargo capacity as well as a hinged tow hitch for greater versatility, better towing.